This months AUGUST FAB BAG 2017 with the Flawless & Fierce theme is all here with new makeup goodies inside. The Flawless & Fierce theme signify beauty with strength and that’s how we women are. The bag looks as bold and stylish like today’s women with the smooth black leather finish. This time the bag comes in different design somewhat like a clutch and has four products unlike five, three full size and one sample. 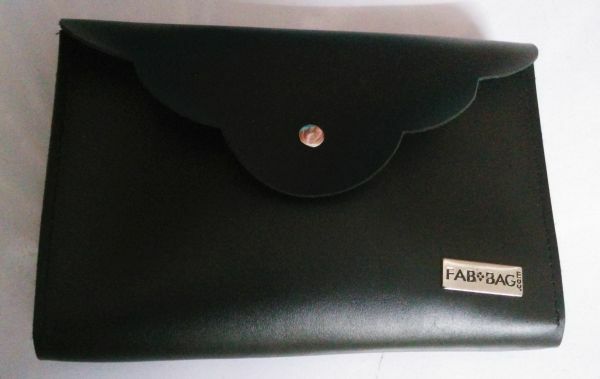 Lets start with the review of this Fab Bag August 2017. 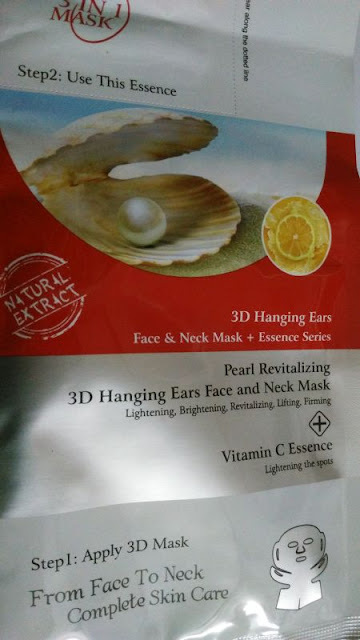 MOND’SUB Pearl Revitalizing & Brightening 3D Hanging Ears Neck and Facial Masks - Rs.200/- for full size. 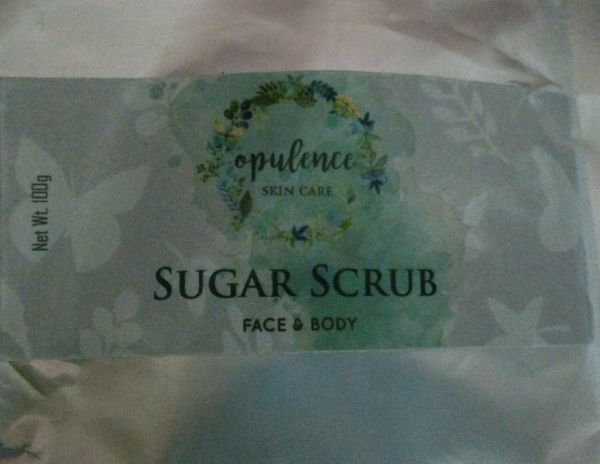 Opulence Sugar Scrub - Rs.500/- for 100g. 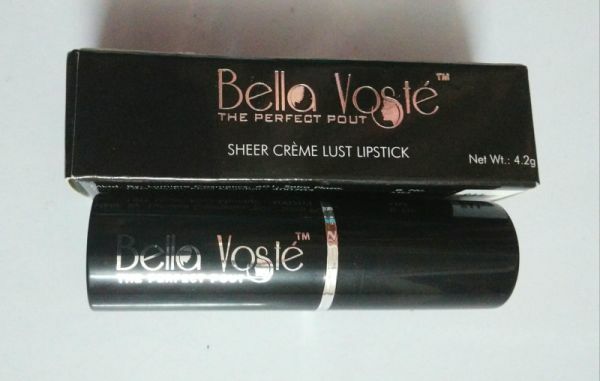 The first product is Bella Voste Premium lipstick which is a self-chosen one. I opted for a muted pink shade in this which is a good natural pink shade for daily wear. This lipstick claims to be very creamy and moisturizing thus being great for dry lips. It’s a new brand so haven’t tried it yet but will soon update the detailed review of this Bella Voste Premium lipstick with swatches. Next product this revitalizing & brightening 3D Hanging mask which is talk of the town today, because of the name 3D. Even I was quite surprised with name 3D initially. The mask contains pearl extracts to hydrate & moisturize your skin from within for a brightening and lightening effect. I am very excited to try this mask and will surely share the experience with you one I try. Next one is this Sugar Scrub which we all keep using every other day because of its wonderful exfoliating properties. But the best part is that this one contains brown sugar along with some of the best essential oils like almond, argan, patchouli, jojoba, olive etc making it a perfect scrub even for dry and sensitive skin beauties. Combination of brown sugar with some of the best oils for skin makes it a great scrub for all skin types leaving your skin clean, exfoliated and nourished. Last but not the least is this rejuvenating shower gel from Just Herbs. I like its skincare products and this rejuvenating shower gel makes a perfect treat for our skin for this humid weather for a refreshing touch. It contains Indian Lotus, Aloe Vera, Wheatgerm extracts with the steam distillation process to rejuvenate your skin completely. Overall this is a great Fab Bag with the Flawless & Fierce theme representing every women on this planet. I am very happy with this new design and some of the new brand I got to try. 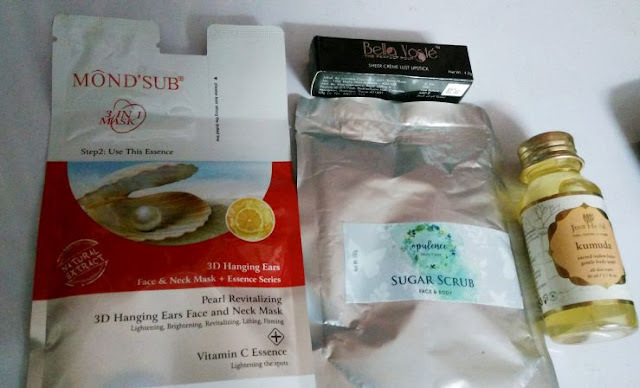 I will soon share the detailed reviews of all with you but till then go ahead and subscribe for your Fab Bag so that you never miss any of the new brands, newly launched makeup beauty and skincare products. Hi Prerna, my search for this lipstick review brought me here. I like how you have described the products with brevity and clarity. If you have tried this lipstick, please share how is the shade and is it transferable?